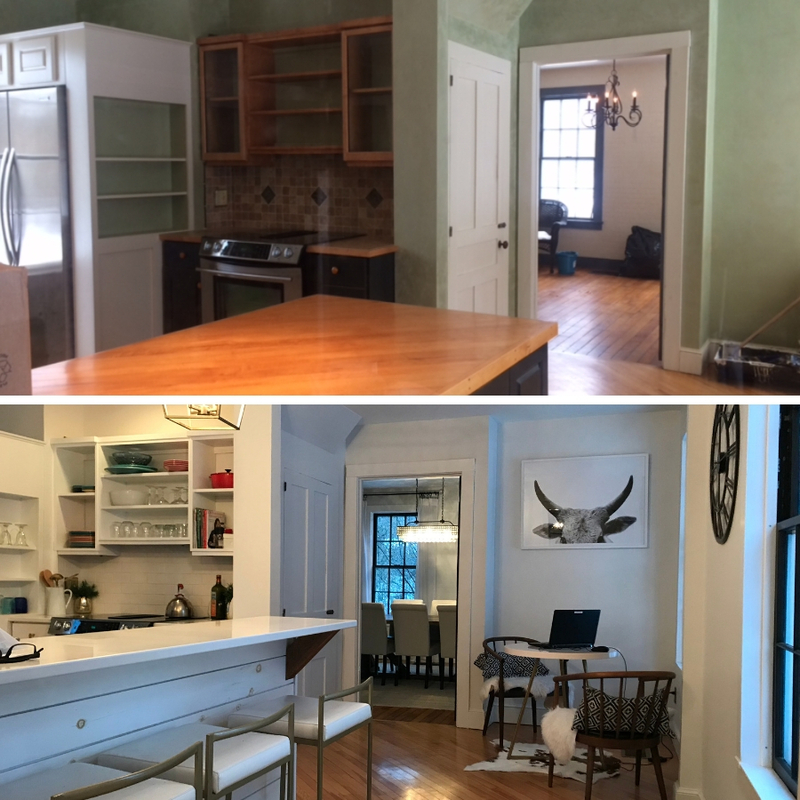 My partner and I renovated an 1890’s farmhouse in 2017 with the help of an amazing team. When we first looked at the house, it was vacant, cold, and dark, but I could see and feel the love and energy in that house. The minute I stepped into the house I fell in love. I immediately had a vision and a goal, and I couldn’t wait to get started. Dave looked at me and said, "Really?!?! It’s going to take a lot of work to get this place ready for a family of 5". My response was, "Let’s get this done!" He knows when I say that, I am on a mission, so the process began with sleepless nights, excitement, stress, and hard work. I mean work like we’ve never worked before! Nothing stopped us from figuring things out, I couldn’t rest. I wanted to keep the integrity of the Farmhouse, but make it bright, modern and functional. Our barn was filled with magic and treasures like old doors, windows, wooden beams, and some amazing hardware that we recycled to use in our renovation. We found things like a journal from the 1840’s, bottles, and newspapers in the walls as a shed became an entryway. My old farmhouse was telling me a story and I started to wonder, who had lived here, and what had happened in these walls. I felt so lucky and couldn’t wait to add to the history. 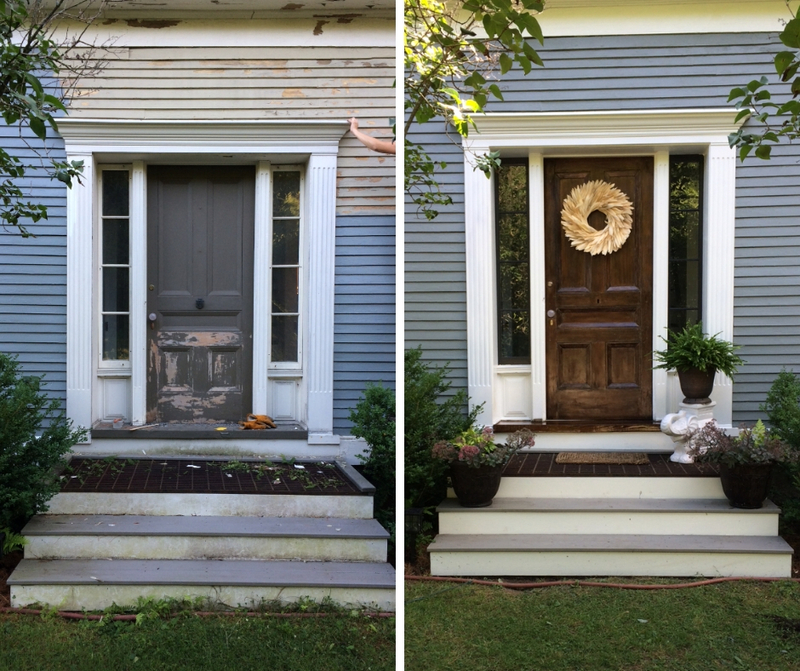 Over the past year and a half, we have worked endlessly painting, decorating and changing pretty much the entire house inside and out. So many stories and adventures to share and I hope my pictures and story can inspire people to look at a space and imagine using some of the old and bringing in something new. This house has changed my life and brought me so much peace and love. It’s filled with 3 girls, a dog, a cat, 2 busy adults and so many amazing memories already. I am so happy to share our hard work. I’ve always been passionate about design and how a change in a room can effect positive change in your life. 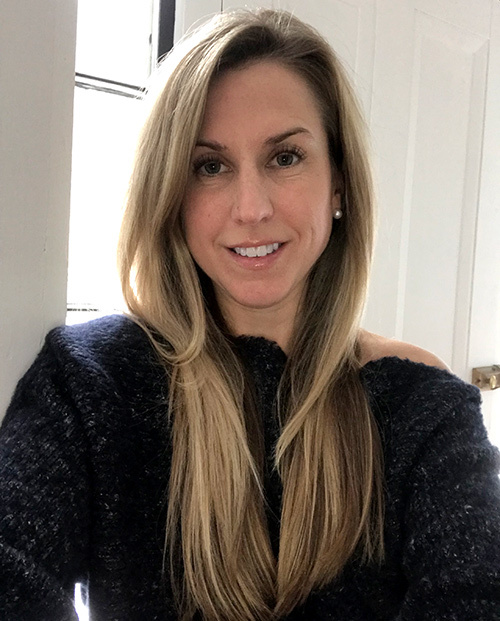 As an interior decorator, I work collaboratively with clients – many who have busy, chaotic lives – to create peaceful, organized, beautiful, spaces in their homes. I also stage homes for those who are selling, and I love demonstrating how simple changes can increase a home’s value. 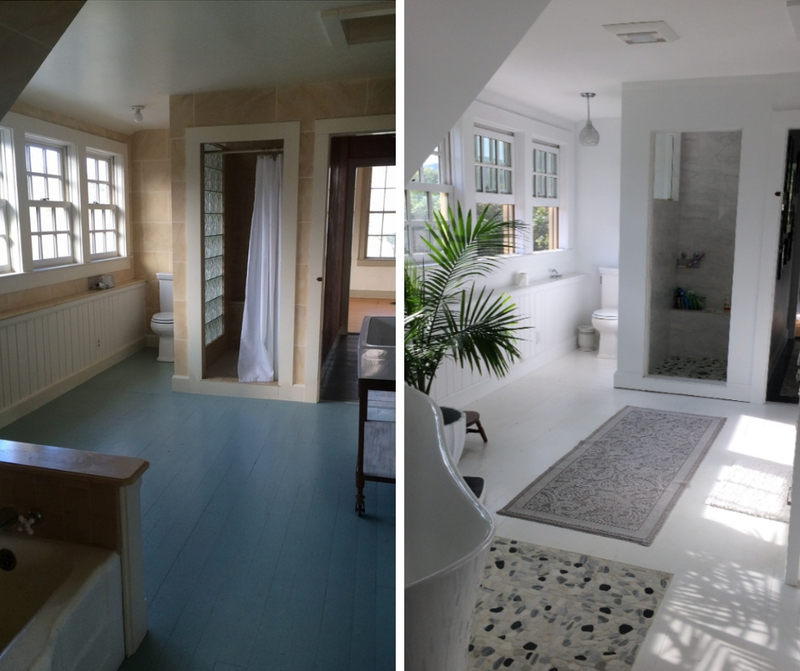 Beautiful renovation and I really enjoyed your post! Absolutely beautiful! Can’t wait to see more from Holly! Love this so much! I’m currently working with Holly - she’s helping me design our new first floor, open concept living/dining/kitchen. 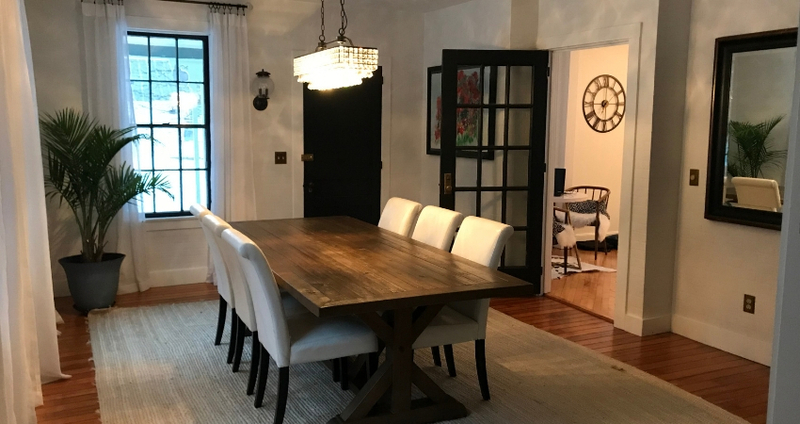 She has such a beautiful vision for spaces - as evidenced in this description of her stunning home - and such a great way of working with clients. I’m a busy professional and just don’t have time to deal with a multitude of extra decisions; I trust Holly’s judgment implicitly and working with her is such a joy. She is making the redesign fun, not work! So glad to see you sharing your story and your experience with others, Holly! I love your style Holly! The small changes you introduced to my home made a huge impact!! Loved reading this! Working with Holly has been SO wonderful, she is honest and thoughtful in her design and in life. Holly will listen, guide and work within a budget, which can be challenging! I just love that I can reach out and she will direct me to options that just make so much sense in my space. I have loved making my house a home with her guidance. Her creativity and spirit show through her design elements and it's a pleasure to know her. Thanks for sharing, Holly! I am very impressed, Holly! I love how Holly sees the beauty in an old or antique piece and then has the bravery and creativity to bring it to life again - making it feel new and fresh. Holly's decorating style is classic and clean while making you feel comfy, relaxed and peaceful. Holly takes a house and makes it a home.